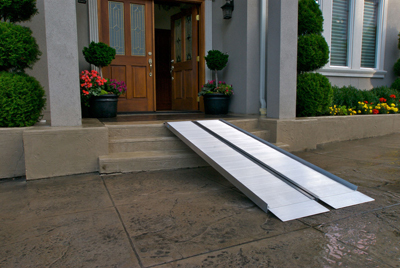 Portable wheelchair ramps are a durable yet inexpensive alternative when a permanent ramp is not feasible or available. Threshold ramps, suitcase ramps, vehicle ramps and even pet ramps are available through Northeast Accessibility. We feature products from the top brands in the business such as EZ-Access, Prairie View Industries, and Pride. 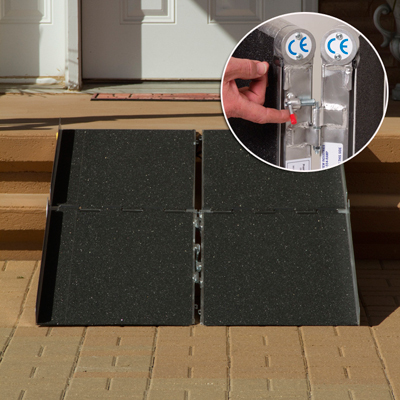 Ramps separate into two pieces for easy carrying like a suitcase and the joint hinge eliminates pinch points. Coated with an anti-slip and high traction surface. 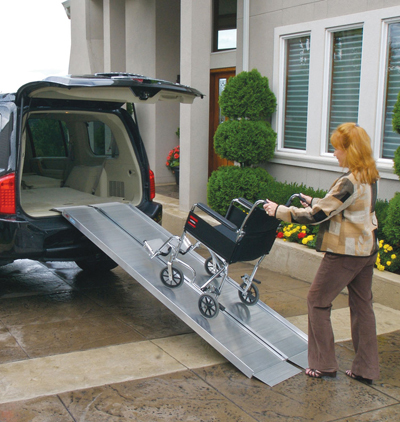 Portable wheelchair ramps are an easy and durable option when permanent ramps are not. © 2019 Northeast Accessibility. All Rights Reserved.